This week's episode continues with a topic I touched on in Episode 12 that is so near and dear to my heart - Quilting with a Younger Generation. If you liked that topic, watch for my article in the next CQA newsletter called 8 Tips for Quilting with a Youthful Generation. I made a promise - so here it is! On this week's podcast I'll dive deeper into that topic. 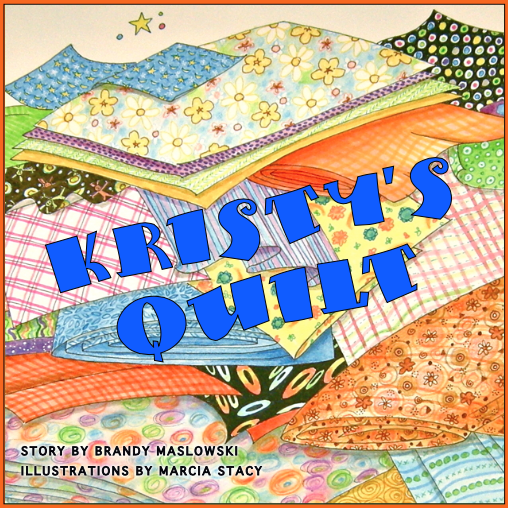 I am so passionate about sharing quilting with a younger generation that it is written right into the core values of my business. So be sure to listen this week when I take that topic further than just teaching family and friends and talk about ways to share quilting with a younger generation of quilters in your COMMUNITY! This photo is of a tiny landscape quilt that my young student Sophia made. It is all hand stitched. She was the only child in a class of 15 that included her mom and grandmother. It was so heartwarming to have 3 generations in my class together. 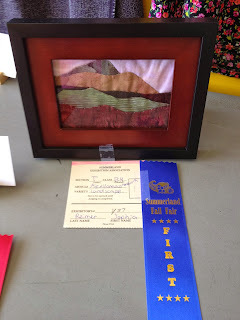 Fast forward a few weeks and you can imagine my pleasant surprise to see her fibre art piece proudly shown in the Summerland Fall Fair with her first place ribbon. 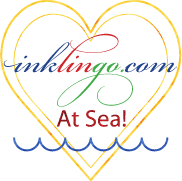 So beyond inspiring a new generation of quilting in your circle of family and friends - there are a ton of ways you can get out in to the community and spread the word that quilting is here to stay. And for me the # 1 way is to teach a child or to teach a quilter to teach a child. And the winner is . . . Congratulations to Chris Reid! Chris tells the heartwarming story of a quilt challenge that really brought a smile to one boy's little face.